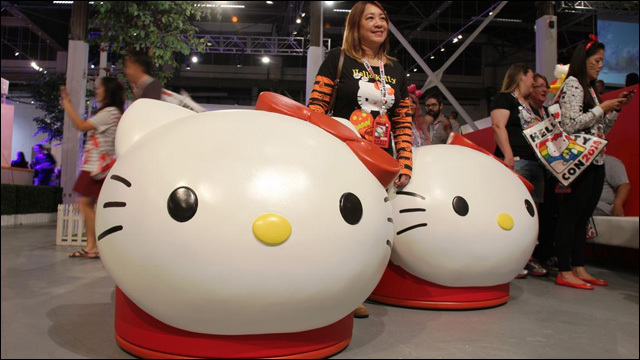 Bows That Bind: Our Collective, Undying Love for Hello Kitty: "I will say, however, that much like taking piano lessons, being guilt-tripped for bringing home Bs, and being looked at sideways at school for having a weird-smelling lunch, Hello Kitty is one of few shared experiences among many Asian American girls. More than that, she is one of the few happy memories of our childhoods that we can share with each other..."
Old Asian American Poets Never Die: Poet/writer Amy Uyematsu writes about her poetic influences, paying tribute to the early years of Asian American studies and the "yellow power" movement. You Can't Be Michael Jackson All the Time: In this excerpt from No Land's Man, the new memoir by actor/comedian Aasif Mandvi, a young Indian man finds his calling by performing as Michael Jackson at his high school variety show. "Did You Ever Mind It? ": Thoughts on Race and Adoption: Nicole Soojung Callahan reflects on growing up as an adoptee from Korea, and about placing the focus the conversation about race and adoption on the child rather than the parents. Separated at birth, reunited on Facebook: CNN covers the amazing story of Anais Bordier and Samantha Futerman, twin adoptees separated at birth and reunited thanks to the internet. Korean Adoptee Cooks Find Connection in the Kitchen : The Center for Asian American Media examines what food and identity mean to a growing group of high-profile Korean adoptee chefs. 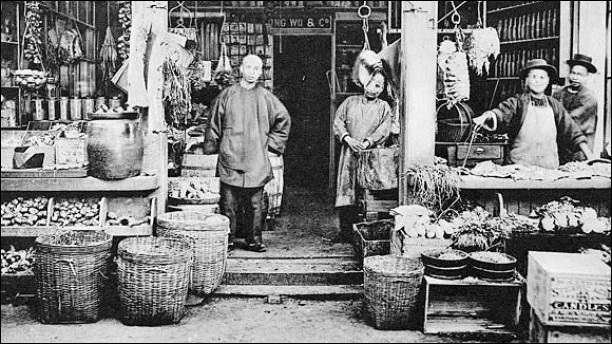 How Racism Created America's Chinatowns: You might think of Chinatowns as places to eat dim sum and buy knickknacks, but many of our nation's Chinatowns were borne out of racism. Louis Chan Takes An Intimate Look Inside The Homes Of Chinese American Families: Photographer Louis Chan's latest project is "My Home," a series of images in the homes of working class, Chinese American families, mostly living in Lower Manhattan. '9-man' Film Explores the Little-Known History of a Chinese-American Sport: The documentary 9-Man is about a variation on volleyball played by Chinese Americans, and the historical conditions that produced this unique sport. Colorlines' Julianna Hing talks to Ursula Liang about making the film. For Duty, Country, Posterity: Chinese American Veterans Share Their Stories: What began for Victoria Moy as a search for her own family history grew into Fighting for the Dream: Voices of Chinese American Veterans from World War II to Afghanistan, an anthology of 40 oral histories of Chinese American vets. Northridge Woman Recounts Challenges of Being First Asian-American Woman to Serve in U.S. Navy: Susan Anh Cuddy was the first Asian American woman in the U.S. Navy's Waves program, joining in 1942 and serving during the Cold War. Yep. That Happened: Batgirl's Unfortunate Sidekick: When Batgirl debuted in the in a newspaper comic strip in 1967, alongside her was Asian judo-master sidekick 'Ho Say Guy,' who worked at her library and spoke broken English. Yep, that happened. A year ago, I challenged Obama on immigration. He's finally listening. : Last year, Ju Hong publicly challenged the president to exercise his executive authority to stop deportations. After months of debate, Obama finally said he does have the power to take action. What 2014 does -- and does not -- tell us about Asian Americans' voting: What these past midterm elections do and do not tell about Asian Americans and voting. 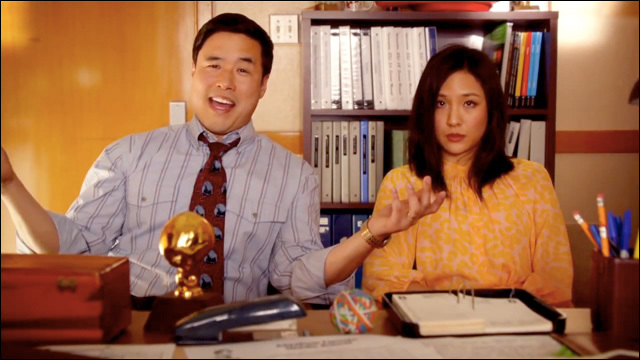 Did Asian Americans switch parties overnight? No. : Exit polls this time around show that Asian Americans are split in their parties of choice, a dramatic departure from the overwhelming Asian American support for Democrats just two years ago. South Asian American Candidates, Nicknames & The Politics of Assimilation: In 2013, Shyam Sriram began work on the South Asian American Political Activity Database. What Sriram began to notice was a trend of South Asians using a "non-ethnic nickname." 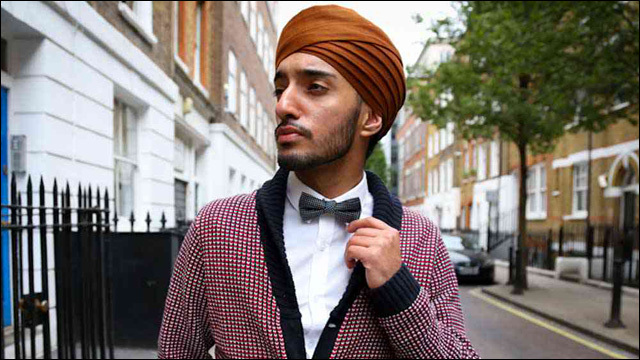 Meet Pardeep Singh Bahra, the Sikh Sartorialist: Pardeep Singh Bahra never sought to make the turban a fashion accessory, but the photos of his self-styled outfits posted on Singh Street Style have helped to normalize the image of a man with a turban and a beard -- and made it cool. Michelle Phan: Getting Turned Down for a Job at Department Store Beauty Counter Launched My Career: Five facts you may not know about Michelle Phan, beauty tutorial maven and YouTube megastar. From Refugee to VIP, A Business Built from the Bottom-Up: The story of Monica Phromsavanh, the founder of ModaBox, who hustled her way from eating off the Dollar Menu to building a $3 million business. 10 Facial Expressions Of Kal Penn's That Every Indian American Will Understand: Ten facets of the Indian American experience, as explained by Kal Penn's face. Making it Up As I Go Along with Larry Hama: Keith Chow hosts a conversation with legendary G.I. Joe creator Larry Hama, subject of the documentary Making It Up As I Go Along.